If you want to generate solar and wind power, you need the sun to shine and the wind to blow. So it seems like a natural fit for meteorologists to give renewable energy forecasts. An online tool from Climate Central does the math for them – and everyone else. Think your local weather person should get with the program? 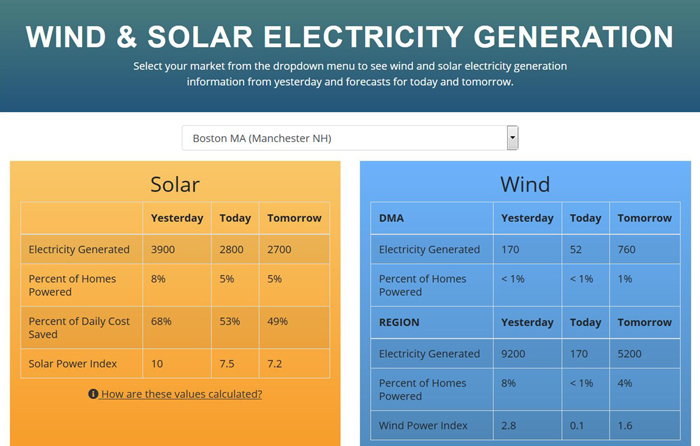 Give ’em a call and point them to the Wind & Solar Electricity Generation calculator. If they can give us windchill values and the UV index, why not the solar and wind power indexes?